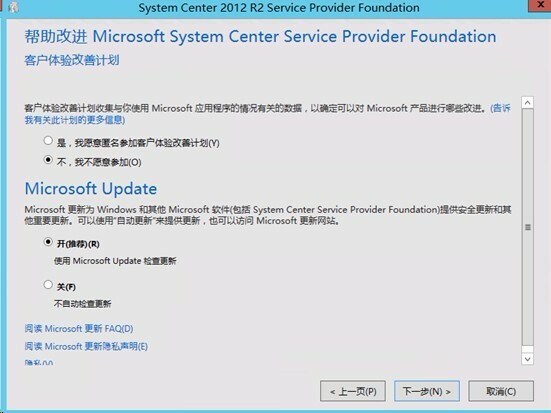 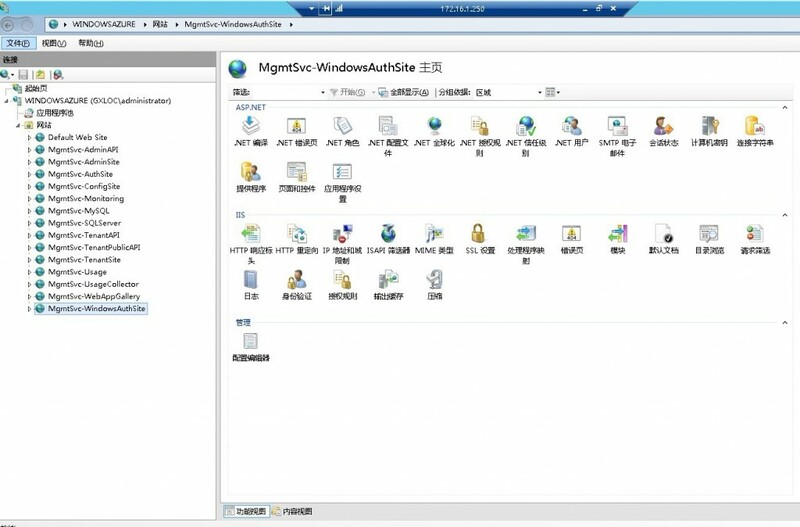 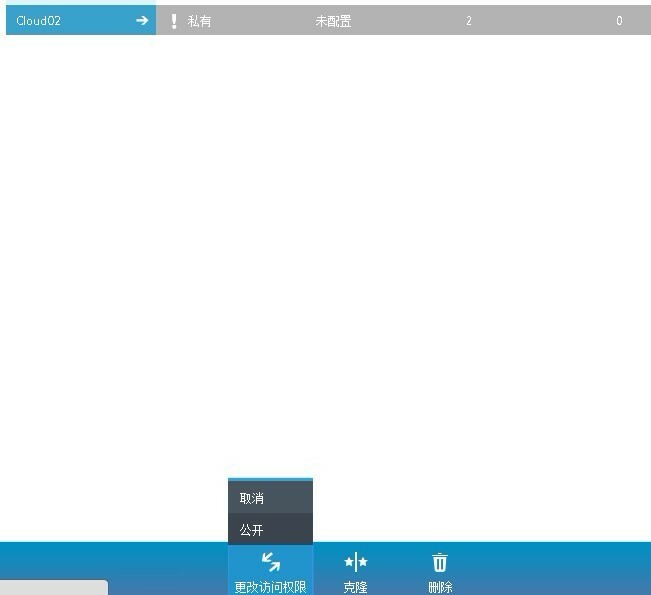 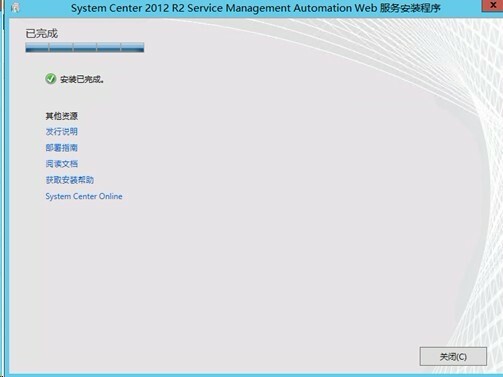 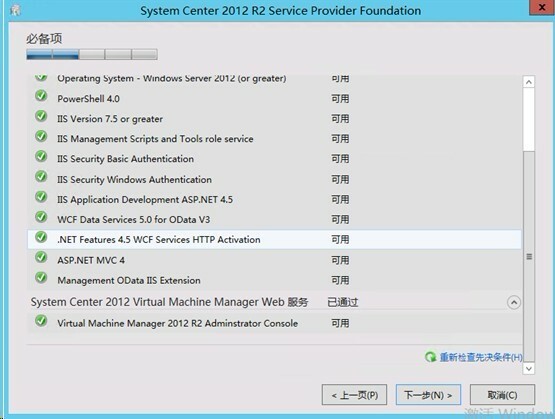 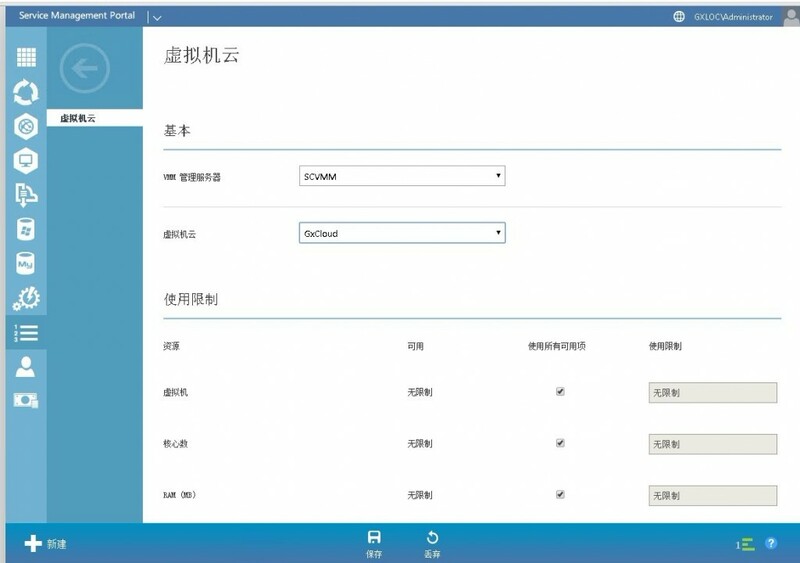 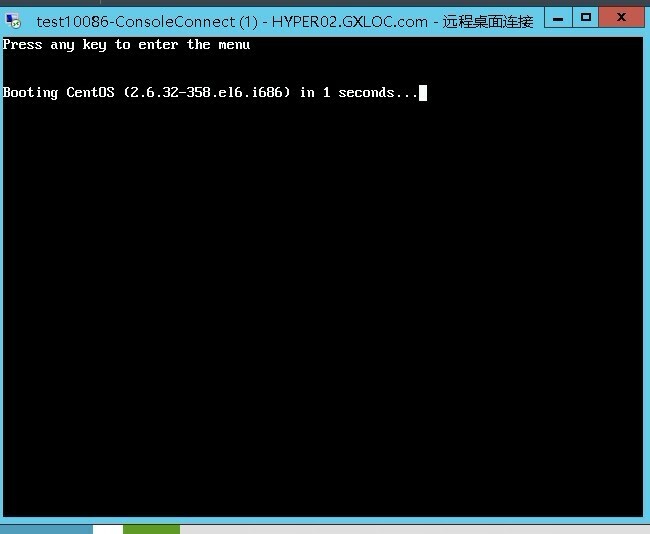 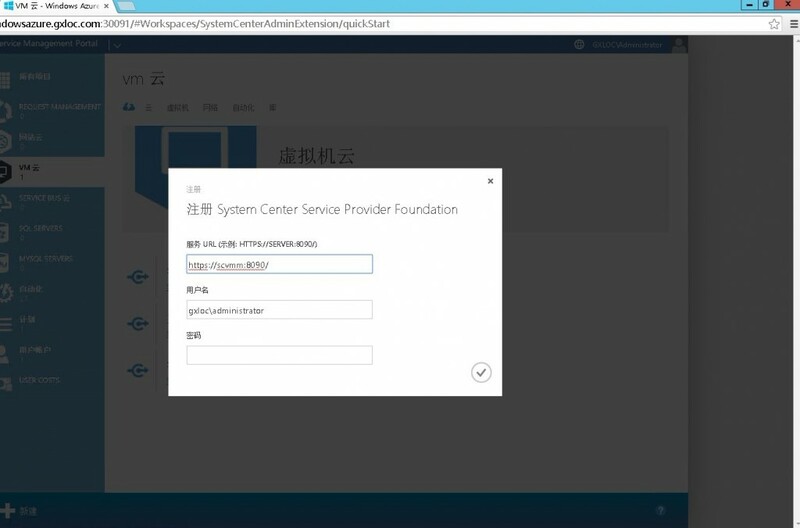 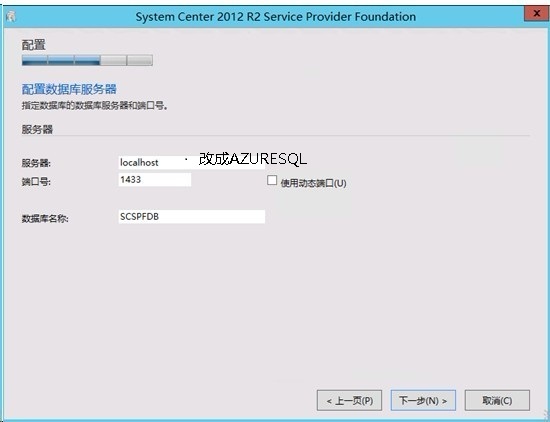 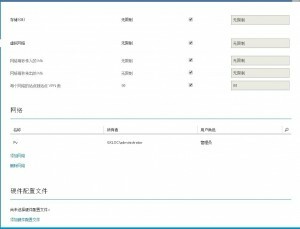 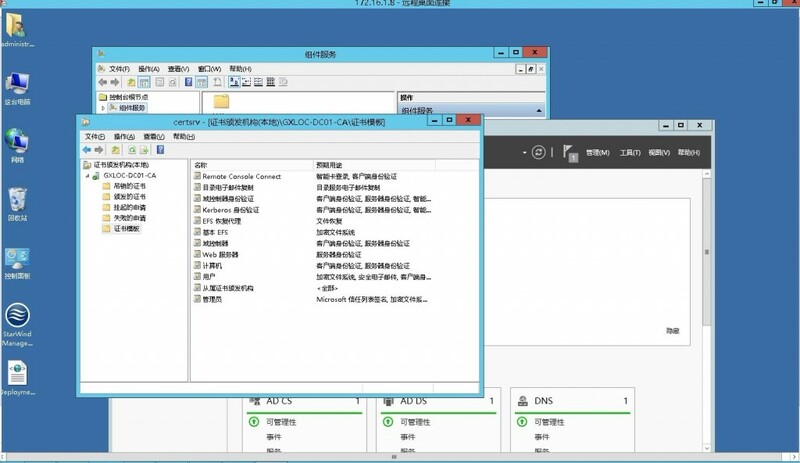 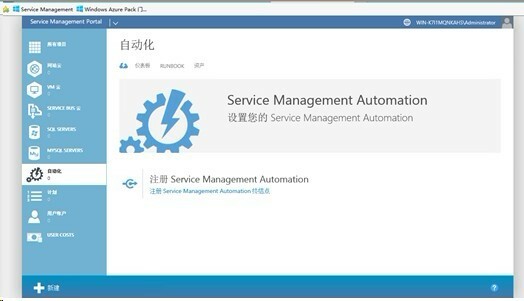 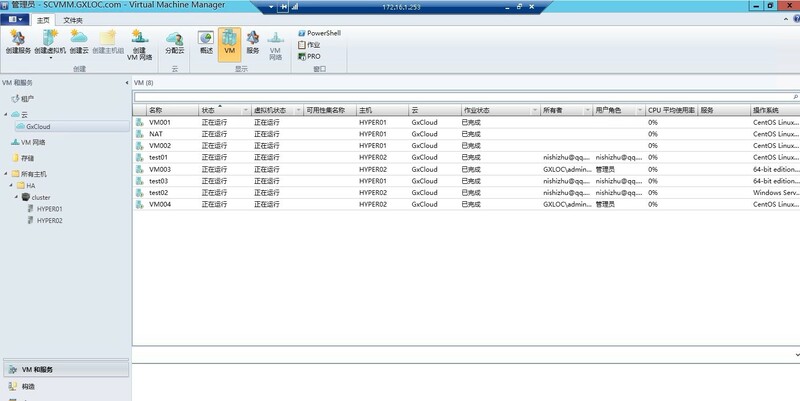 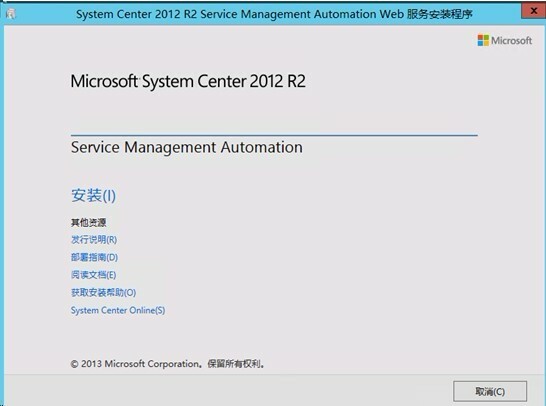 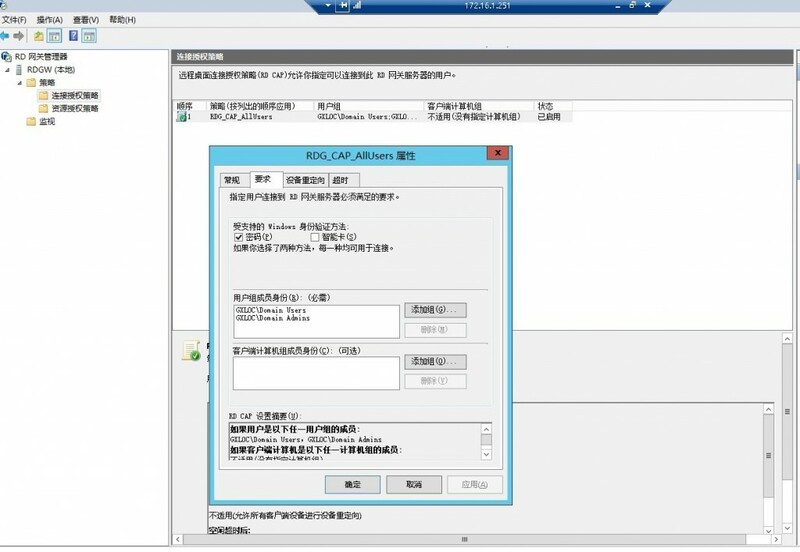 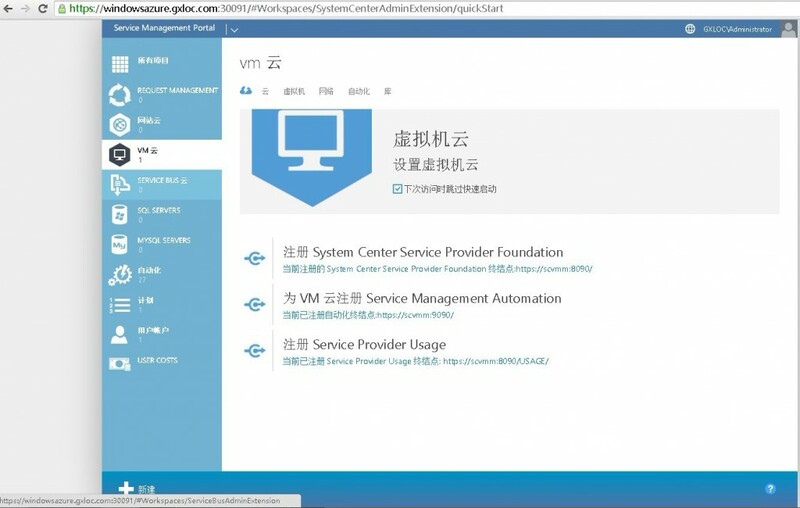 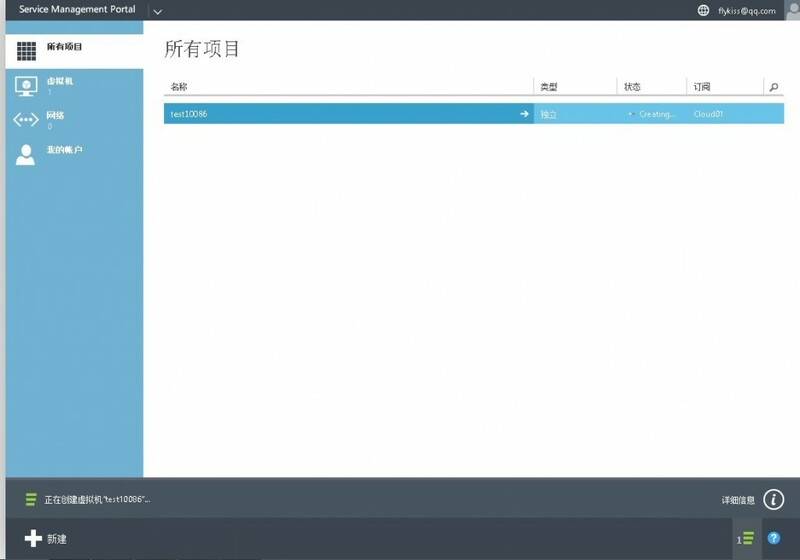 1.安裝 System Center 2012 R2 Virtual Machine Manager并配置私有雲. 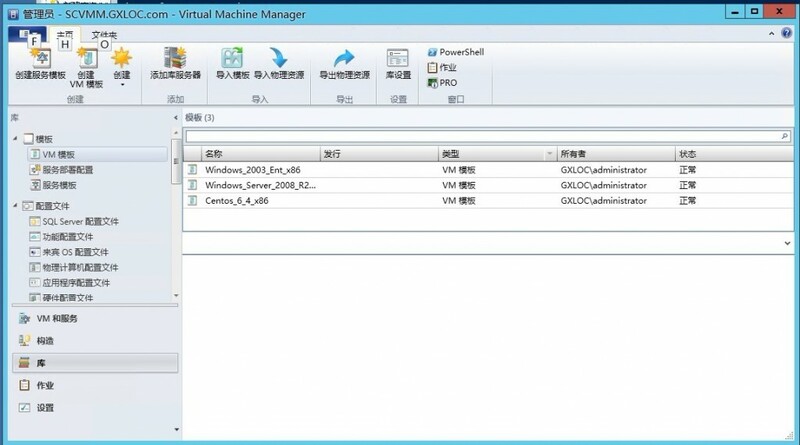 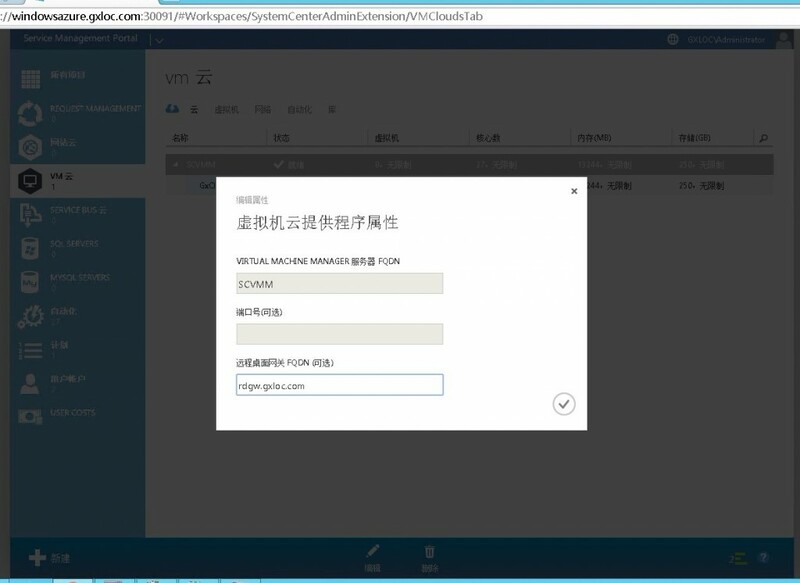 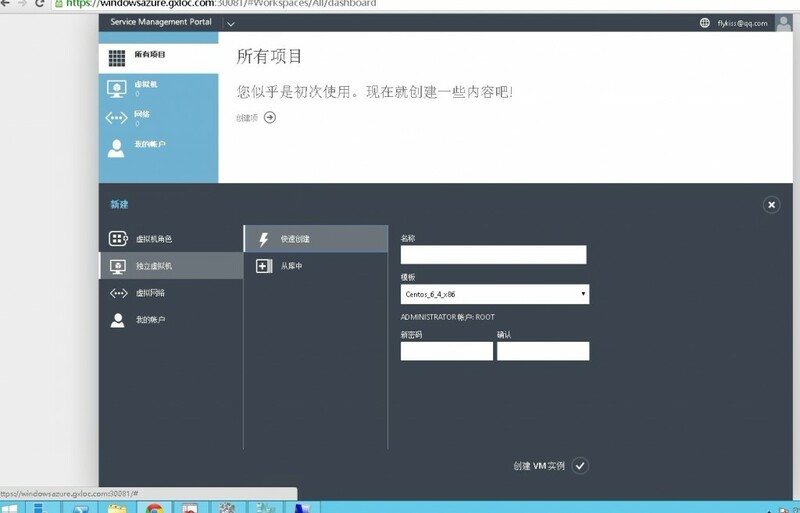 眾所周知VMM是以SQL為基礎的,由於實驗測試方便的原因，我把SQL和SCVMM 都裝在同一台機器.安裝SQL的時候需要注意一下，需要在DC 建立個SQLSRV的帳戶，給SQL安裝用.因為還需要安裝自助門戶服務，所以順便IIS也一起裝上，NET Framework 3.5、后台智能传输服务（BITS）、远程差分压缩、远程服务器管理工具，勾選上即可.詳情請參考SCVMM2012R2安装与配置. 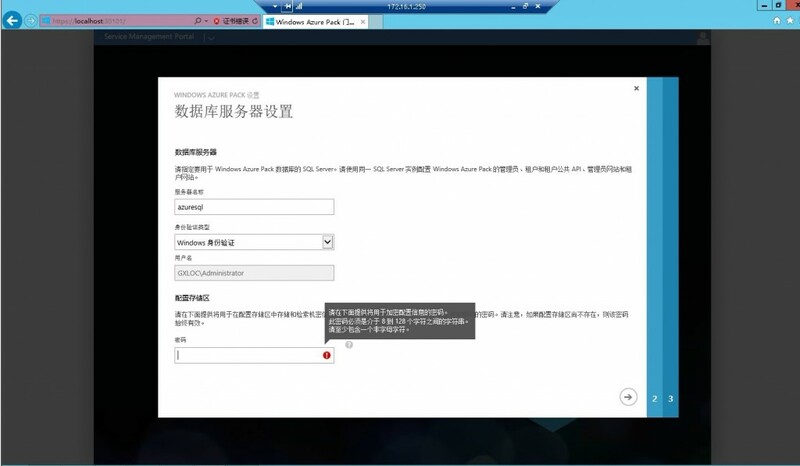 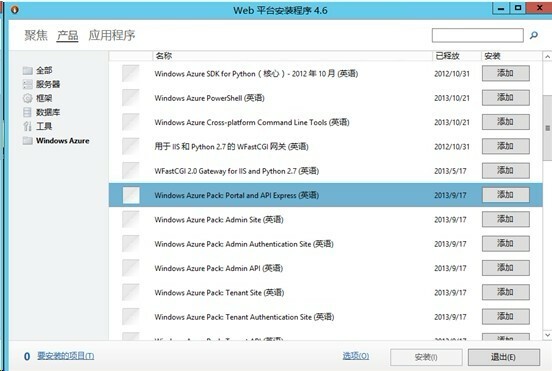 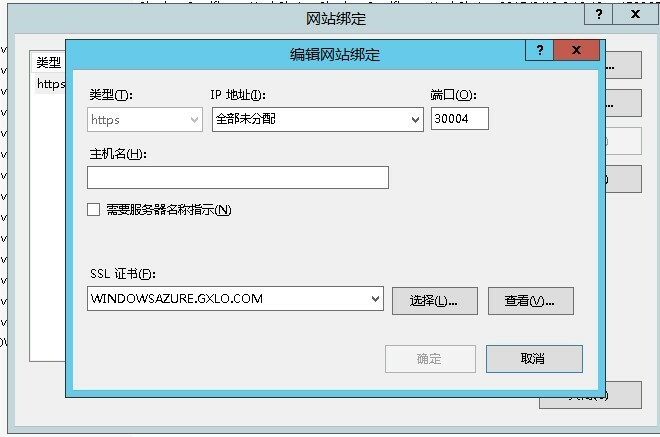 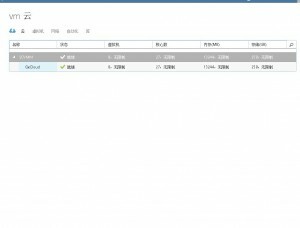 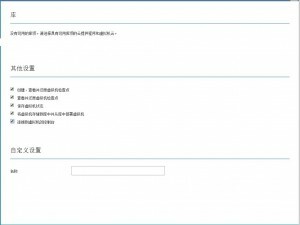 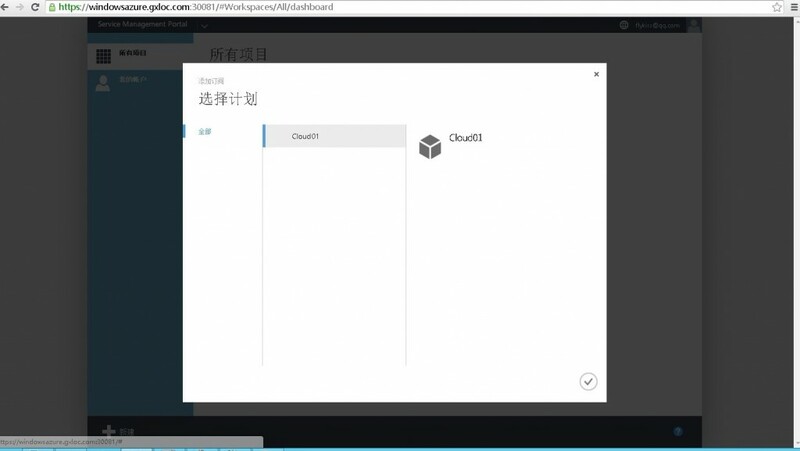 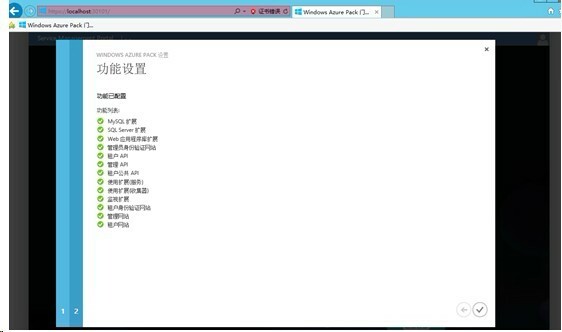 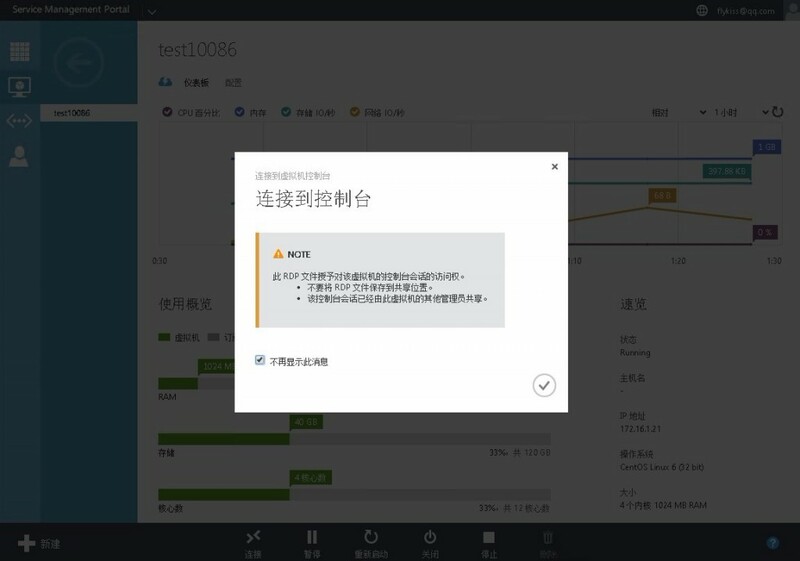 登陸172.16.1.250 （WindowsAzurePack），打開Microsoft Web Platform Installer,搜索Windows Azure Pack Portal and API Express 安裝..然後一路回車即可. 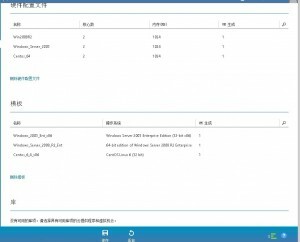 6.在新模板的屬性窗口中，單擊加密選項，設置最小密鈅為2048，請求必須使用下列程序之一選擇使用”Microsoft Enhanced RSA and AES Cryptographic Provider”. 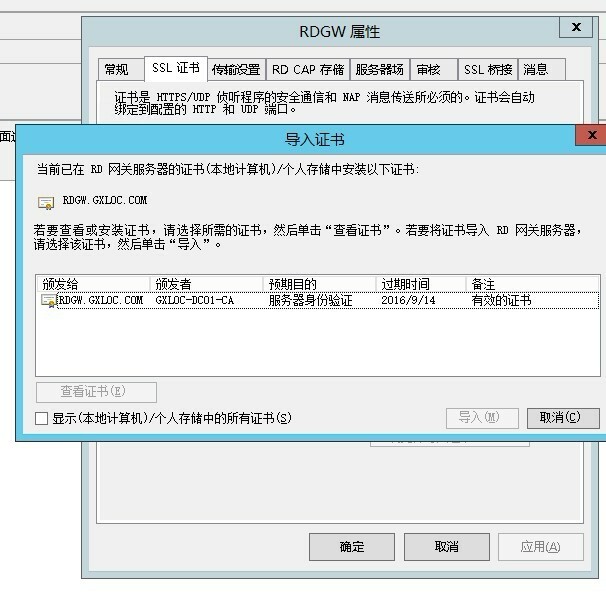 Subject = "C=CN, O=GXLOC, CN=rdgw.gxloc.com"
Import-Certificate -CertStoreLocation cert:\LocalMachine\My   -Filepath "\\SCVMM.GXLOC.COM\C$\RDGCert.cer"
$TSData = Get-WmiObject -computername $Server -NameSpace "root\TSGatewayFedAuth2" -Class "FedAuthSettings"